I am submitting another cake which I made for my grand daughter who has just turned 5. 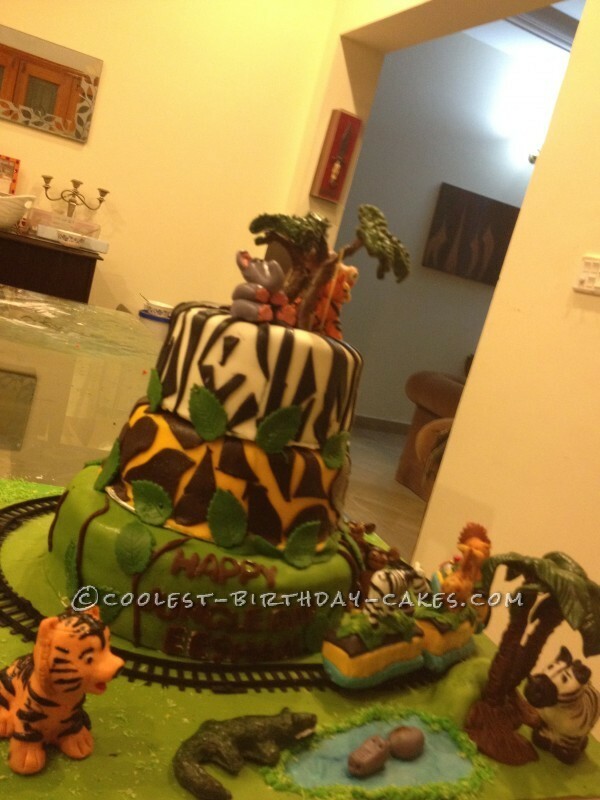 She loves animals so we decided to have a jungle themed birthday. I was given the responsibility to make the cake and cup cakes. I am not a professional baker but do it as a hobby. I made three tiered cake. The first one was green, second giraffe print and the third with zebra print. I used home made fondant. The cakes were German chocolate, dark chocolate and vanilla with home made chocolate and banana fillings. I used white chocolate and fondant to make the animals. The trees were made with wire covered with fondant. I used a toy train covered with fondant and cake toppers(animals). 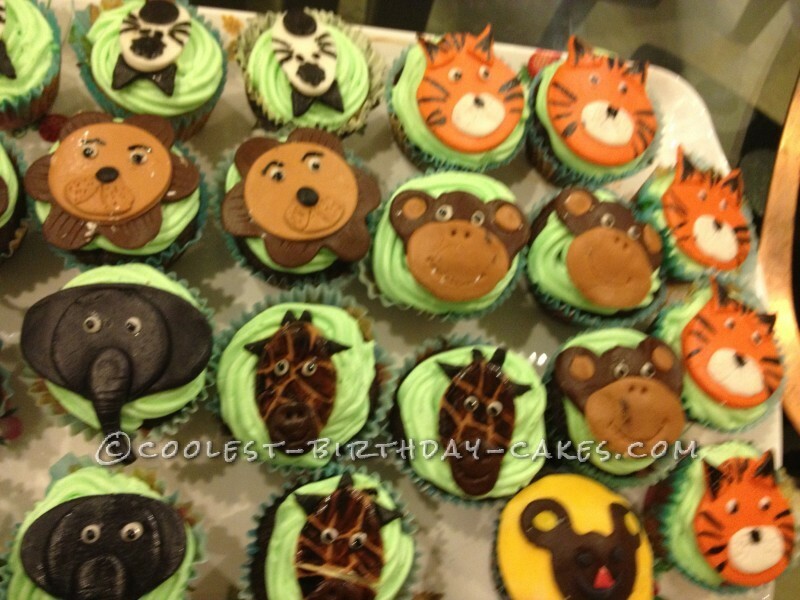 It was quite time consuming so made animals, trees and animal faces (for cup cakes) a few days earlier. I enjoyed making it, the only problem I faced was the train became heavy and could not move so we moved the engine only in the party. Another problem was the heavy animals at the top of the cake. I supported them with tooth picks for carrying to the venue. There I made stones with grey fondant for support and it went very well. My grand daughter was very excited to see the cake. She hugged me and kissed me again and again. Another thing happened was I had some uninvited guests to see and to taste the cake.